KINGSTON, ON, JULY 12th, 2013 – Hayabusa broadens their focus with the signing of Brazilian Jiu Jitsu (BJJ) World Champion, Marcus “Buchecha” Almeida. Hayabusa® welcomes the young and extremely talented, Marcus Almeida to the ever-increasing roster of elite Hayabusa athletes. Marcus Almeida, or “Buchecha”, is a Brazilian Jiu Jitsu black belt under Rodrigo Cavaca who is one of the stars in the super-heavyweight division of the sport. 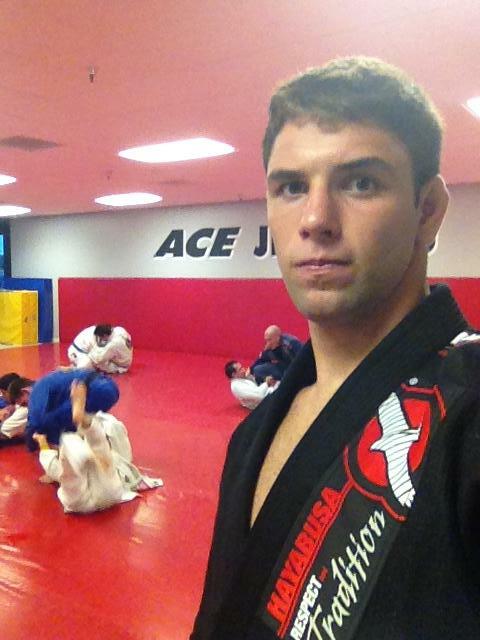 Buchecha is a world champion in Brazilian Jiu Jitsu (BJJ), dominating in his weight and absolute. He has accomplished a tremendous amount at such a young age, rising to the top of the sport and mastering his skills as an athlete. With successive podium achievements, an unmatched understanding of the sport and his true professionalism, Buchecha is deemed a perfect addition to Team Hayabusa. This is very welcoming news to the combat sports community, as a huge company such as Hayabusa have started recognizing BJJ practitioners as legitimate investments. Maybe we will see them work closer with organizations such as the Abu Dhabi Combat Club, Metamoris and other pure grappling competitions. In case you haven’t seen it yet, this new Hayabusa gi is a pretty sleek looking one. We don’t see much in this photo but if I’m going to make bets, they’ll be coming in more colorways other than black. Here you go! Of course, Hayabusa Fightwear products are available at MMA Warehouse. They’re actually running a promo where if you buy an Ikusa, Tokushu or Kanpeki product, you get a free t-shirt.